SOMERVILLE, Mass. (AP) — The Boston Red Sox have not clinched this year’s American League East division championship, but a banner marking the accomplishment has already been accidentally unveiled. 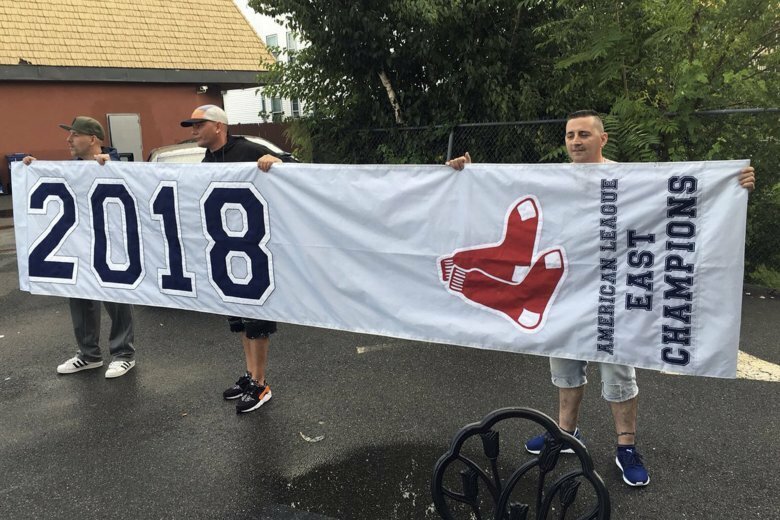 Boson-area friends Louie Iacuzzi, James Amaral and Randy Baldasarri say they found the banner on a road Monday morning after it apparently fell off a delivery truck in Somerville, Massachusetts. But the trio held onto the banner for two days, hoping they’d be rewarded with game tickets or a chance to meet their favorite players. Instead, the Boston Globe reports , the men took the banner to Fenway Park on Wednesday afternoon and returned empty-handed. Iacuzzi says he always intended to return the banner and rejected accusations he stole it.